The Avro Lancaster was an extremely fine aircraft renowned for its durability and lack of vices, fitted with four Rolls-Royce Merlin engines. With a wingspan of just over 100 feet and equipped with three power operated (hydraulic) turrets, it could not hold its own against determined daylight fighter attacks, but could deliver sufficient firepower to defend itself at night. The seven crew (pilot, flight engineer, navigator, bomb aimer, wireless-operator, mid-upper and rear air gunners) were all specialists, trained to fly as a team. 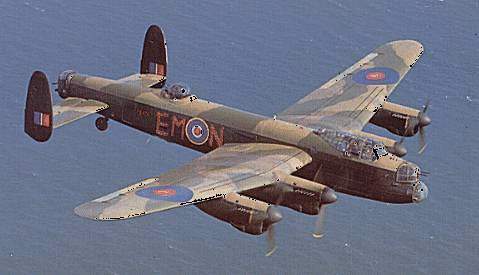 The "Lanc" could easily fly on three engines, could manage on two and limp away on one. It was of all-metal construction and it's maximum speed was 270 miles per hour; it could carry 14,000 lbs of bombs for 1,000 miles (or 2,350 lbs of bombs for 5,500 miles) and had a maximum height of 22,000 feet. Soon it became RAF Bomber Command's Shining Sword. By the end of the war specially modified versions were lifting 22,000 lbs. It was operational by Christmas 1941 and mostly replaced the 1 and 5 Group Hampden-equipped Squadrons of Lincolnshire. The Lancaster is best remembered in the specially-adapted Dam Buster and 10-Ton "Grand Slam" versions. It was extremely popular with its crews and had an average life of twenty operations. ED627 was part of a batch of Lancaster Mk IIIs built by A V Roe and Co at Newton Heath / Chadderton between November 1942 and June 1943. It was delivered to No 207 Squadron in February 1943 and carried the Squadron marking EM-N. 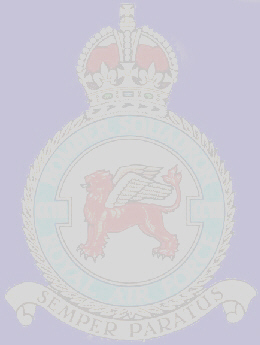 Between September 1942 and October 1943 No 207 Squadron, who were part of No 5 Group, were based at RAF Langar near Nottingham. According to an item in the book '207 Squadron RAF Langar 1942-1943', compiled by Barry Goodwin and Raymond Glynne-Owen, ED627 was involved in an incident on 8 April 1943. During take-off for an operation to Duisberg, piloted by Wing Commander Parselle, ED627 lost a main wheel and, in a shower of sparks, slewed off the runway at 80mph. The bomb doors were crushed and the 4,000lb 'Cookie' bomb dug a deep furrow in the grass. Fortunately the bomb load did not explode and Lancaster ED627 was repaired and operational again in a matter of weeks. ED627 completed a total of 34 operations between the first, to Berlin on 27/28 March 1943, and it's final operation to Nürnberg on 27/28 August 1943.